Approximately one quarter of children under the age of eight are growing up with immigrant parents. About 30 percent of those children have parents with undocumented status. 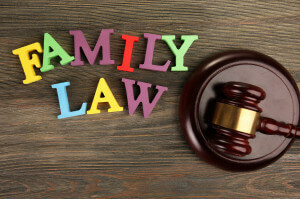 The question arises, whether undocumented parents are subject to the jurisdiction of Illinois courts as it relates to matters such as divorce, child support, or parental responsibilities. The answer is yes. As long as the parent meets jurisdictional requirements, they may use Illinois courts regardless of their immigration status. This also means a parent may be called into Illinois courts. So then, does a parent’s immigration status affect parental responsibilities? Does a child’s citizenship provide a defense to the parent’s removal from the U.S.? Perhaps. In order for a parent facing removal from the U.S. to cause an immigration judge to cancel the removal proceeding and change that parent’s status to permanent resident status, the parent must show the removal would result in exceptional and extremely unusual hardship to the other parent who is a U.S. citizen or lawful permanent resident, a spouse, or child. In determining whether the child would face unusual hardship, the judge may consider the economic impact of the parent’s departure on the child, whether the child knows any other way of life outside the U.S., the child’s medical needs, and the psychological impact on the child. Lastly, immigration status of a parent is not a statutory factor Illinois courts are directed to consider in making an allocation of parental responsibilities and determining the best interests of the child. A parent’s immigration status alone is unlikely to cause a judge to decline that parent any allocation of parental responsibilities.